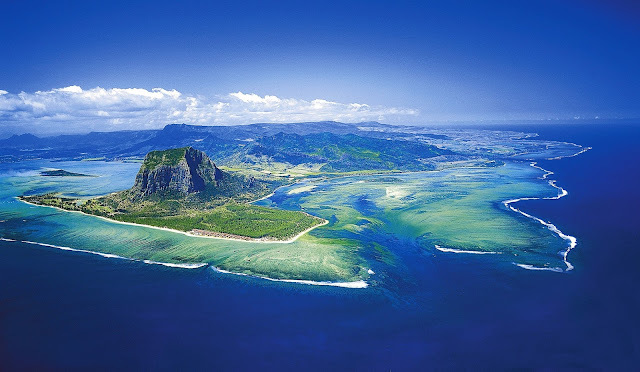 Have you ever heard of the amazing underwater waterfall of Mauritius? Yes, it is the wonder of the nature. There is really one such thing there. 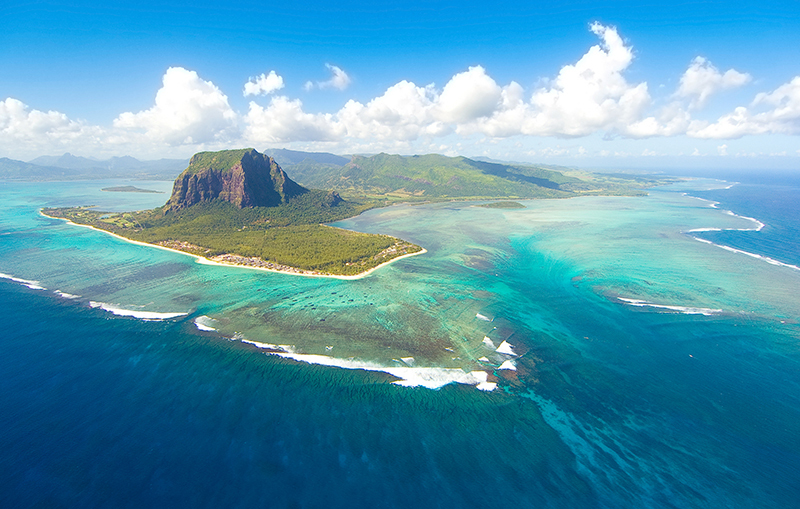 Mauritius is an island nation. It is in the southern part of the Indian Ocean. There is 1200 mi ocean water between the island and the mainland of Africa. The island was a Portuguese, Danish, French and British colony for a long period of time. The majority of the population is of Indian origin. 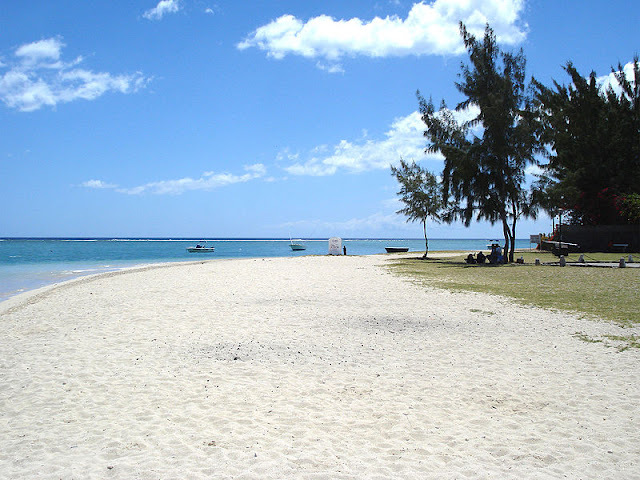 Mauritius is known for its breathtakingly beautiful beaches and clear, bluish seas. The nature is in its best here. It is one of the well known places of tourist attraction in the Indian Ocean. 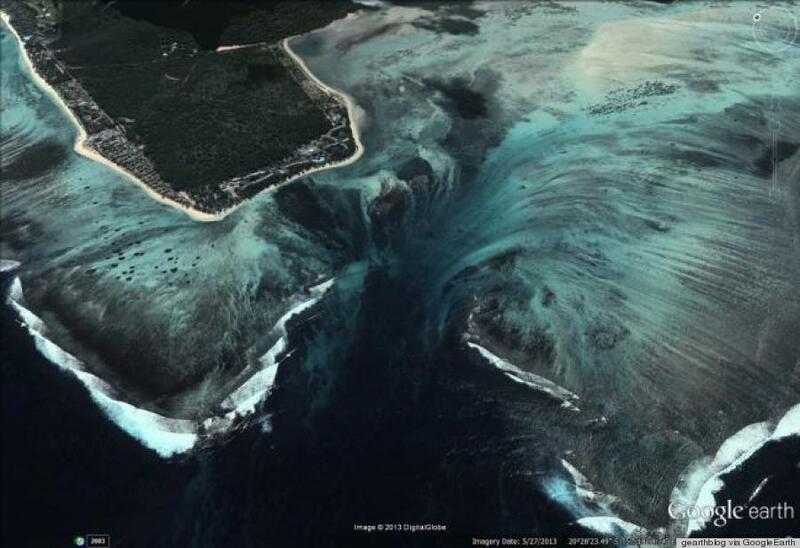 But the coolest thing of the island is its underwater waterfall. The underwater waterfall is actually an illusion. There is a deep trench near the south eastern side of the island. The ocean currents carry slits and sand to the deep trench. It appears like a waterfall from the sky. The effect is intensified by the clarity of the water. 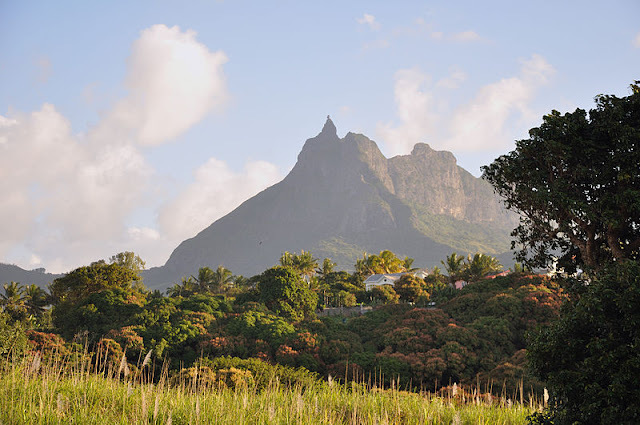 Why there is such a “waterfall” in Mauritius? Is it something mysterious? No, there is nothing unnatural in it. Actually, geology can explain it easily. 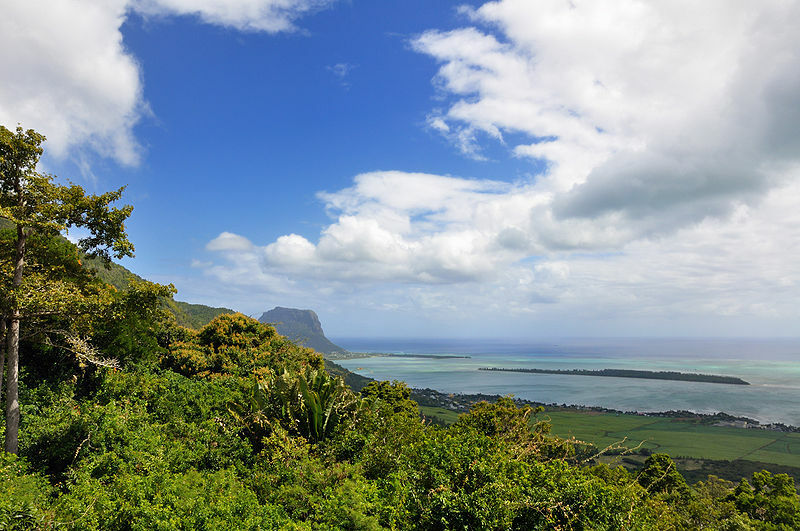 The island of Mauritius is very young in geological time scale. The island and some smaller ones are situated on self not much under the sea. Due to some plate movements and volcanic activities, there are some deep cracks in that self. 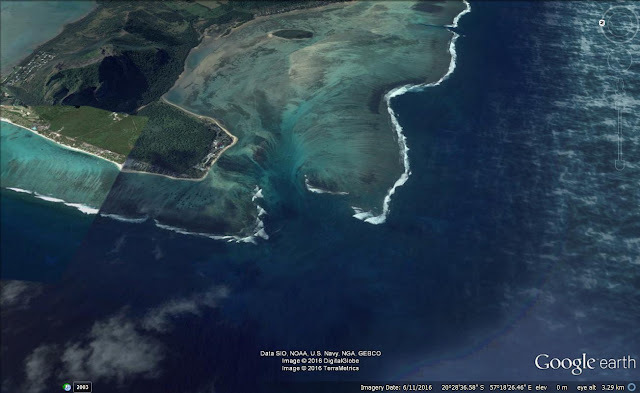 Such a deep chasm is very close to the southern tip of the island of Mauritius. That is why there is sudden change of depth here. Within a very short distance the depth increased from a few meters to a few thousand meters. 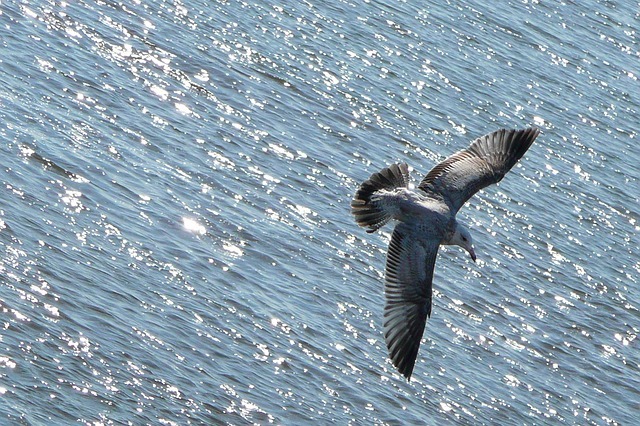 It is so close that it attracts the sands carried by the ocean currents near the shore. So, the waterfall is actually a sand fall. It may not be real still it is an attractive thing to see. It is a real marvel of nature. If you have the chance doesn’t miss the opportunity to see it with your own eyes. In the meanwhile, if you are not able to go there right now, enjoy some of the scenic beauties of the island from these photos. La Preneuse beach is one of the most beautiful beaches of the island. It is close to our "waterfall". It is named after a French ship with defeated some British ships in the 18th century. Gris Gris is the famous beach of Souillac (a village named after Vicomte de Souillac, a French Governor of Mauritius). Here is the famous crying cliff or "Roche Qui Pleure". It is not very far away from our waterfall. Chamarel is another beautiful place one should visit in Mauritius. 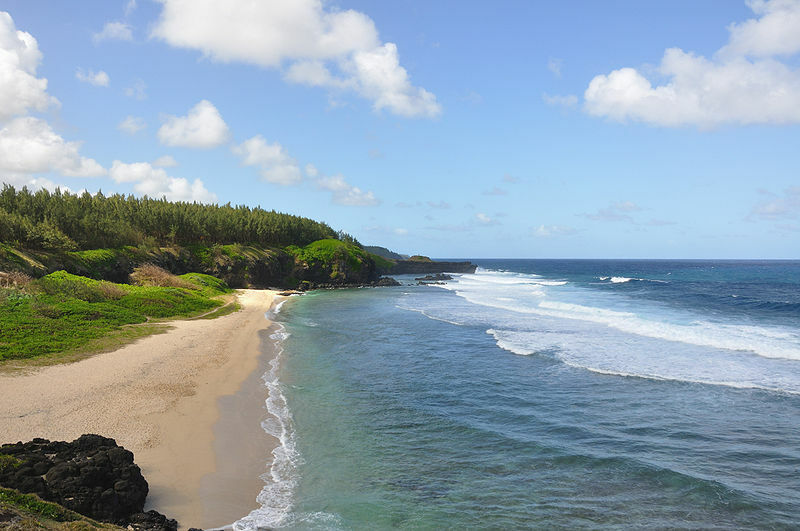 It is in the south west coast of the island, in Rivière Noire District. It is very close to the underwater waterfall. 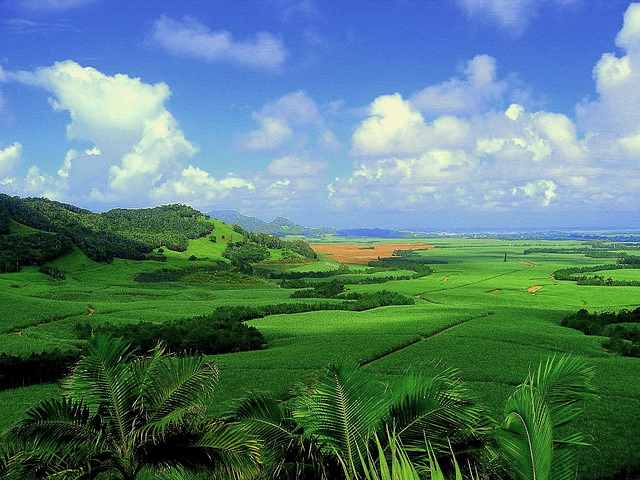 Sugar cane is farmed in about 85% of arable lands of the island. It is famous for its sugar production. View the beautiful fields. Here is another photo for you. 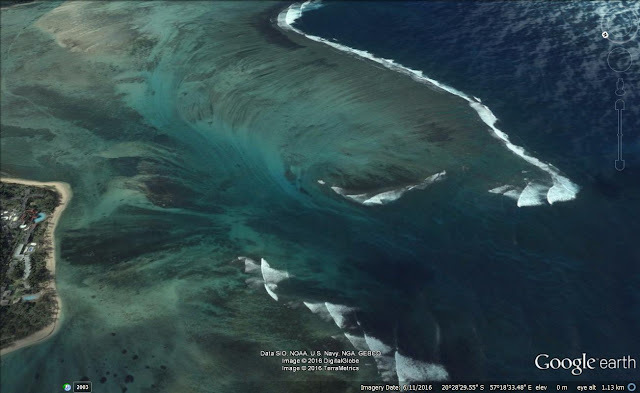 Is it really possible to have a real underwater waterfall in the oceans? Physically it is not possible. Cold water drops under the warmer water. But to be a waterfall that water must have been a flow over sea bed. It should follow a fixed channel. The color of that water must be different from the rest to be visible. All these things are impossible in natural conditions on earth.